NSG, Inc. Janitorial Services - NSG, Inc. Nothing has more of an impact on your building’s occupants than the quality of the janitorial services. Unfortunately, all too often janitorial services are associated with high turnover and low quality. If janitorial service is important to you, consider NSG. We bring a proven and professional approach to your cleaning needs. Our unique evaluation process ensures that we customize a cleaning program designed to your specific needs. The quality of a janitorial service is directly related to the quality of the people. We pride ourselves on hiring and keeping outstanding employees. You benefit from familiar faces, low turnover…and outstanding results. Customized needs assessment and service plan structured to meet your unique requirements. 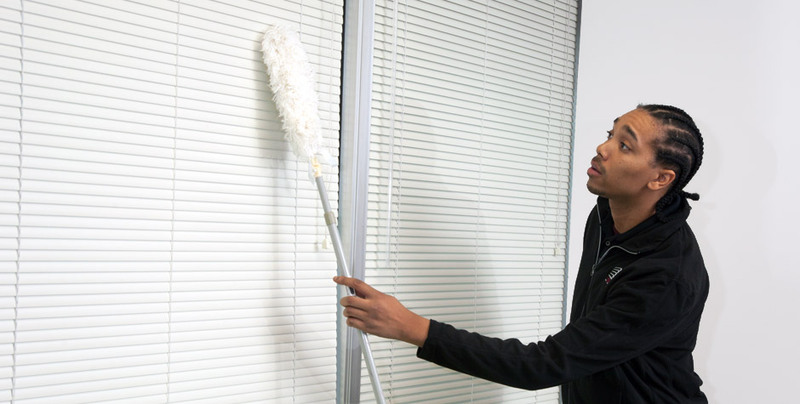 We tailor our services and assemble your janitorial team to accommodate your schedule. Our managers will work with you on weekly and monthly cleaning specifications. Our experienced management team is always available to you. We provide audit forms to regularly rate performance. Our highly-trained team is prepared to clean your LEED certified facility.